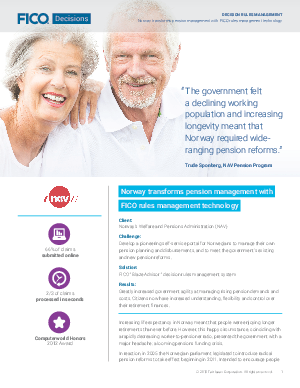 Develop a pioneering self-service portal for Norwegians to manage their own pension planning and disbursements, and to meet the government’s existing and new pension reforms. Greatly increased government agility at managing rising pension demands and costs. Citizens now have increased understanding, flexibility and control over their retirement finances.